There is "no gender bias" regarding pay decisions at the BBC, according to a new report into the corporation. But the BBC's approach to setting pay in general "has been far from perfect", auditors PwC found. Their report, published on Tuesday, found a 6.8% gender pay gap among on-air staff. Responding to the report, the BBC said there would be "substantial" pay cuts for some men, and pay rises for some men and women. Director general Tony Hall said "important issues" had to be tackled. Unlike the corporation's annual report, which was published last summer and named on-air staff earning more than £150,000, Tuesday's report involves those on air across all pay brackets - a total of 824 people. The 6.8% pay gap identified in this group was lower than the overall BBC average pay gap of 9.3%. The national average is 18%. What has Tony Hall said? The director general said: "Today's report does not find evidence of gender bias in decision-making. "But it shows we have real and important issues to tackle... and I'm determined to get it right." He added: "The plans we're setting out today go further and are more important steps in modernising the BBC and making it fairer. "We've already made an important start. We're addressing unfairness in individuals' pay and want to close the gender pay gap and have women in half of our on-air roles by 2020. Those are big, bold commitments I'm really serious about." Lord Hall also said he wanted to "push forward on our goal of getting 50:50 men and women on air by 2020, I now want to do that quicker". The median pay gap in the lowest three of the four on-air job levels PwC examined was 12.6% - higher than the BBC's overall pay gap of 9.3%. In the top level, the gap was 0.4% - but the number of people in this bracket was smaller and the range of salaries much wider. This level includes "a small number of individuals, mainly men, [who] are paid very highly". The "most significant under-representation" of women is found in news correspondent jobs. "Slightly" more women receive pay at the lower end of the salary range for their jobs, while more men are higher up the salary scales. But, referring to such disparities in the first three job levels, PwC said there are "logical and non-gender related reasons" for the differences. What has the BBC said it will do? On air, there will be substantial pay cuts for some men, and pay rises for some men and women. A new framework for determining the pay of people on air will be introduced, to match that already created for the rest of BBC staff. Everyone will be able to see the pay range for virtually every job in the BBC. Where there are more than 20 people in a job, staff will also be able to see where everyone else is positioned. The BBC will review the progression of women in the corporation, looking at working practices and support for women returning to work. The BBC will accelerate progress towards equal representation of men and women at all levels on air, and also towards closing the gender pay gap by 2020. What has BBC Women said? Before the report was published, BBC Women - a group that represents female BBC journalists and producers - said it had "no confidence" in the PwC review. The group said it had not been consulted and felt it had "been excluded from the process". However, it is understood the BBC will now consult staff about the report's recommendations before deciding whether to adopt them. More than 150 women have put forward written evidence to the Digital, Culture, Media and Sport Committee, ahead of a hearing on Wednesday. The evidence includes claims that women at the corporation had faced "veiled threats" while trying to raise the subject of equal pay. 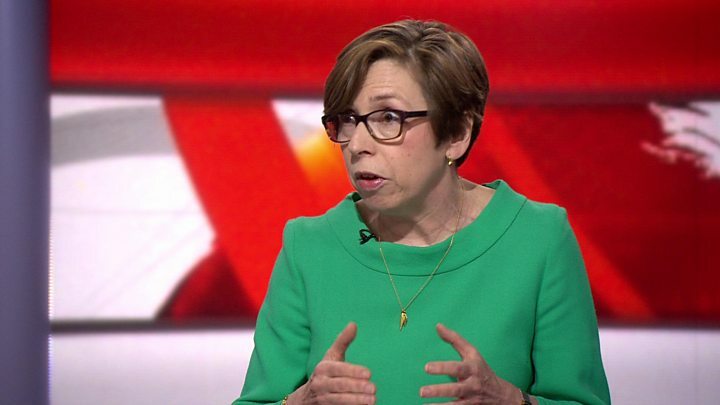 Responding to the claims, BBC head of news Fran Unsworth said: "If there have been veiled threats, I don't know how much of this is current, and I would really hope it isn't, and how much of that dossier is historic. "But if any of that is current, then it needs to be raised." Jane Garvey, presenter and member of BBC Women, told Radio 4's The World At One she was sceptical about the findings of the PwC report - namely that there was no gender bias around BBC pay decisions. "The report would say that, wouldn't it? This is a PwC report commissioned by the BBC and, without being overly cynical, I might venture to suggest that the PwC has delivered the report the BBC has asked for," she said. She added: "This was never about cutting men's pay - it's not a solution to the issue of equal pay." Former BBC chairman Lord Grade, told the BBC the pay issue was a "huge problem for management" that would not be solved overnight. "I feel sorry for the management but I think they're on the right track," he said. "I think the levels of pay for the star journalists are way too high, there isn't really a market (in news)… I think those levels will start to come down. "(With entertainment), in my experience, people do work for less at the BBC in the entertainment world than they could get from ITV or C4 or Sky or somewhere else." Who has already agreed to take a pay cut? 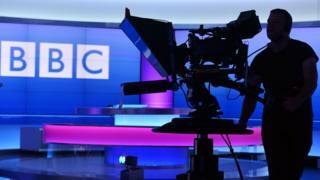 The report about on-air pay takes place against the backdrop of a long-running debate about gender pay at the BBC, which began last summer after the corporation published its salaries for on-air staff earning more than £150,000. Last week, six of the BBC's leading male presenters - Huw Edwards, Nicky Campbell, John Humphrys, Jon Sopel, Nick Robinson and Jeremy Vine - agreed to take pay cuts. A report published in October found men working for the BBC earn an average of 9.3% more than women. The figure covered all staff, on and off air, and was put down to the fact there are more men in senior jobs. Lord Hall said it showed the BBC was "in a better place than many organisations". There is frustration at senior levels of the BBC that other organisations who are obliged to publish their own gender pay gap seem to be dragging their heels. The feeling at the top of the corporation is that they have gone much further than most other institutions on both gender pay across the organisation, and equal pay for equal staff. In his five-point plan to staff today, the director general argued for radical levels of transparency. This is somewhat ironic, given he vigorously resisted the salary disclosures last summer. Taken in concert, these issues show the BBC has a plan to tackle current injustices, and Lord Hall has certainly done more than his predecessors to advance female talent both on and off air. But history casts a long shadow over today's report. For many of the women at the BBC I have spoken to, the feeling is that they have accumulated injustice - and, some would argue, discrimination - over the course of their careers. Such is the strength of feeling that these proposals don't mark the end of this issue for the BBC - merely the end of the beginning.